Trusted by institutions around the world, Phase One deliver the most advanced high resolution camera and optic systems with fully integrated software. The iXG Camera System is a high resolution camera system specifically for high volume digital preservation image capture. It is designed for accuracy, speed, simplicity of operation and image quality. The system is deployed across several institutions in Australia achieving outstanding imaging and workflow outcomes. To discuss how the iXG can improve your operating efficiency and deliver outstanding results contact the Specular Digital Preservation team. The full integration of hardware with Capture One CH software yields efficient, professional workflow and precision results. There is complete camera control, reliable performance, and expertly crafted RAW conversion algorithms. Tools for auto-cropping and aligning of both documents and books is a huge time saver, as is the automated workflow for capturing negative film. The iXG Camera System uses CMOS sensors in all models to ensure the highest resolution and lowest noise levels. In combination with the ICC profiles of Capture One CH, these sensors produce the most accurate colors and details, enabling accurate reproduction for all Cultural Heritage applications. The sensor's 4:3 aspect ratio maximizes the captured area and is suitable for most common object formats. The on-sensor focus is fully operable from within the Capture One CH software and delivers absolutely astonishing focus precision accurate to 6-micron. With the iXG's unique capability to accurately position the lens and record its properties, along with Capture One's Camera Focus Tool, the intuitive PPI Assist feature and precise contrast-based Auto Focus provide an extremely simple, yet powerful way to achieve the highest level of image quality and compliance with reproduction standards such as Metamorfoze and FADGI. Any common copy stand can be used. The margin of error is within 2ppi - well within the specs from both FADGI and Metamorfoze. Combined with other tools, such as Auto Crop, efficiency is further improved - particularly when operated by non-trained personnel, and with large batches of material in standard sizes. The iXG Camera System is designed to work hard and to last. It offers industrial build quality, made with aerial-grade aluminum and using the most durable mechanical and electronic components available today. The Reliance Shutter's longevity offers a one million actuations guarantee. And with the iXG 100MP in electronic shutter mode, you benefit from an unlimited number of shutter actuations. Capture One CH is a professional rapid capture solution dedicated to the Cultural Heritage community. Built on the renowned Capture One software, the Cultural Heritage edition offers a highly specialised feature set that delivers a significantly faster reprographic workflow during both capture and post-production. Use Capture One CH to optimize your images. Not only do you get the highest image quality from the advanced image render engine, you also have access to powerful adjustment tools to fine-tune your images for final presentation, digital asset management for archival and retrieval, and much more. In addition, Slipstream mode in Capture One CH for Windows has been designed as a simplified user interface for touch screens. It is aimed at the non-trained operator for digitization projects of high-volume, flat object capture. Boost productivity by automating cropping in post-processing. Select cropping options for flat art reproduction or books, including corner or edge alignment with positive or negative padding. 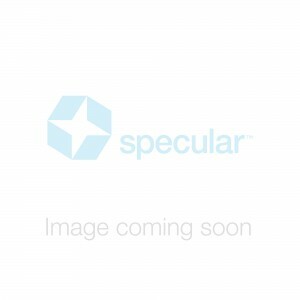 On-Capture multi-crop script increases productivity when scanning books that do not require the full resolution of the camera. Capture One’s Camera Focus Tool and its intuitive PPI Assist feature and precise contrast-based Auto Focus, provide an extremely simple, yet powerful way to achieve the highest level of image. The user simply selects the target resolution, field-of-view or magnification ratio and the tool will calculate and advise the required positioning of the camera. The margin of error is within 2ppi which, at normal focusing distances, is well inside the specs of reproduction standards such as FADGI and Metamorfoze. When combined with other tools, such as AutoCrop, the efficiency and productivity of the system increase even more - particularly when operated by less trained personnel and when working with large batches of material in standard sizes. An improved workflow that automates the conversion of negative transparent material in both black & white and colors. Use the exposure tools in an intuitive way to adjust exposure, contrast and colors, and get perfect results, ready for print or post processing. A selection of Cultural Heritage development styles allow to quickly chose a set of conversion parameters for different film types. Obtain high color accuracy with specialized ICC profiles optimized for both color precision and three dimensional gradients at the same time. Available for common studio light types such as flash, LED and tungsten as well as for specific types of film. Advanced Color Editor can help to achieve monochrome images or to enhance selected colors. In order to achieve the perfect image, Capture One CH offers an Enhanced Color Editor and also a black & white Tool. Capture One CH offers a vastly improved noise reduction, especially for higher ISO images. Built on many years of experience in the high end photographic market, the XF Camera System brings unrivalled quality, accuracy, and reliability, and sets a new standard for a flexible platform equipped with everything that is needed for reproduction at the highest possible level. The XF Camera can be paired with a range of digital backs from 50 to 150 megapixels for the ultimate resolving power. For many institutions the flexibility of the XF Camera Systems is an advantage, as the camera can be used on location for 3D object photography, or the documenting of places. To match the high resolution recording potential when using the Phase One iXG or XF Camera System for the reproduction of flat works it is imperative to install a suitable capture stage and camera mount. 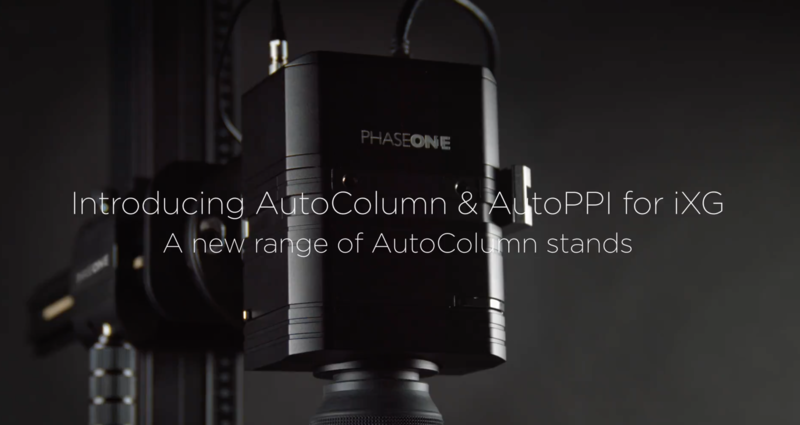 Phase One offer sophisticated AutoColumn copy stands, film and glass plate holders, film capture stages and LED light table inserts. Find the lates information on Phase One Cultural Heritage here. To discuss your digital preservation requirements contact the Specular team in Melbourne or Sydney.